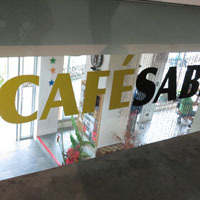 Café Sabel, which overlooks the forest and duck pond, offers fresh and natural food in an ambiance that will refresh your palates and feed your soul. Ingredients, like vegetables and herbs, are sourced fresh daily from BenCab’s organic farm. The cafe’s signature coffee blend, BenCab’s Brew, is also sourced from coffee trees on the farm. Same as museum – Open Tuesday to Sunday from 9:00am to 6:00pm (last order at 5:00pm). Closed Mondays, Christmas Day & New Year’s Day. • Outside food and drinks are not permitted to be brought into the cafe. • Smoking is permitted only in the al fresco area of the cafe.